As the all-in-one solution for capturing and sharing images on-the-go, the Polaroid Pop instant digital camera enables users to shoot and instantly print full color photos as 3.5×4.25″ Polaroid border prints. Edit and enhance photos before printing with creative filters, digital stickers and a draw feature that gives the ability to write or draw at the bottom of the photo. 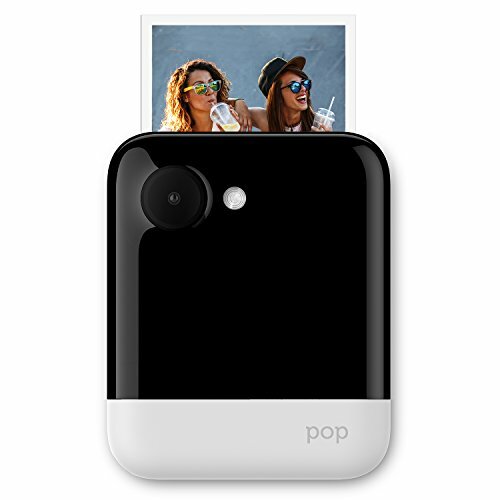 The Polaroid Pop quickly and easily connects to a mobile device using Wi-Fi or Bluetooth, allowing users to save photos taken with the camera as well as print photos saved on a mobile device.